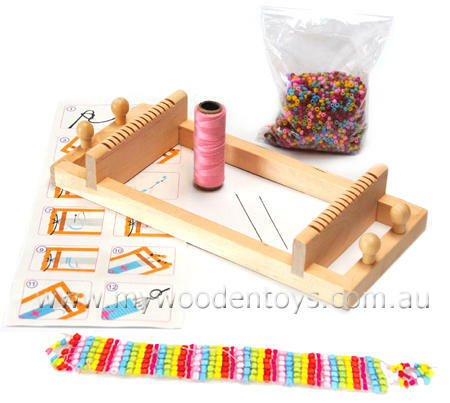 This set comes with a wooden loom, two needles, cotton, a large bag of small plastic multi coloured beads and full instructions on a wipe clean card. Material: Wood, Plastic beads, Cotton, 2 metal Needles. We like this because: "Well made with excellent instructions."